June 16, 2018 /Photography News/ A cloud resembling an angel reassures some – and terrifies others. Traffic jams stretch for blocks as people flock to see the Virgin Mary on a bathroom window. Photos of Martian rocks resembling people, rats and crabs go viral in an instant. That’s the power of pareidolia, a peculiar, but entirely natural, function of the human brain that causes us to impose patterns on random collections of images and sounds. From the Greek para-, “alongside of, instead of” and eidolon, “image, shape,” it’s an ancient ability that may have benefited survival in the far distant past, when it was essential to pick out hidden dangers in the landscape. Notably, Carl Sagan made this claim in his 1995 book The Demon-Haunted World – Science as a Candle in the Dark, asserting that it is a phenomenon that results from how our brains interpret light and shadows (sometimes making meaning from these features when there is none). Pareidolia accounts for ancient tales of tree dwelling dryads, trolls who guard gardens and bridges, and stone giants. It’s what lets us see shapes in the contours of clouds, find a face on the surface of the moon, and trace the constellations in the night sky. And while that’s been in existence for all of our history, pareidolia has gone from psychology textbooks to the popular imagination in recent years, thanks to media attention. We have countless reports of religious figures seen in peculiar places and a constant stream of photographs sent by the Curiosity Rover from the surface of Mars to inspire our imaginations. Pareidolia explains the famous Virgin Mary on a cheese sandwich, which sold on eBay for $28,000, the cornflake shaped like the state of Illinois auctioned off for $1350, and even the much revered Shroud of Turin, which to many observers reflects the figure of a crucified Christ. Interestingly, not everyone experiences pareidolia in the same way – or at all – and it seems that it is influenced by culture. Psychologists note that seeing meaning in random data is more likely among people with strong beliefs in religion or the paranormal. That accounts for the large number of instances of pareidolia involving religious symbols or figures ranging from that aforementioned Shroud, to sightings of the Hindu monkey god in a Singapore tree, and the name of Allah in photographs of the 2004 tsunami in Asia. Even if many people see the same image, they may interpret it differently. The Man in the Moon that every Western child knows is the Moon Rabbit in Asia. It is known as the Moon Buffalo, Dragon or Frog in various other cultures. That’s also the reason you may argue with a friend about what shape you see in the fluffy cloud scudding overhead. 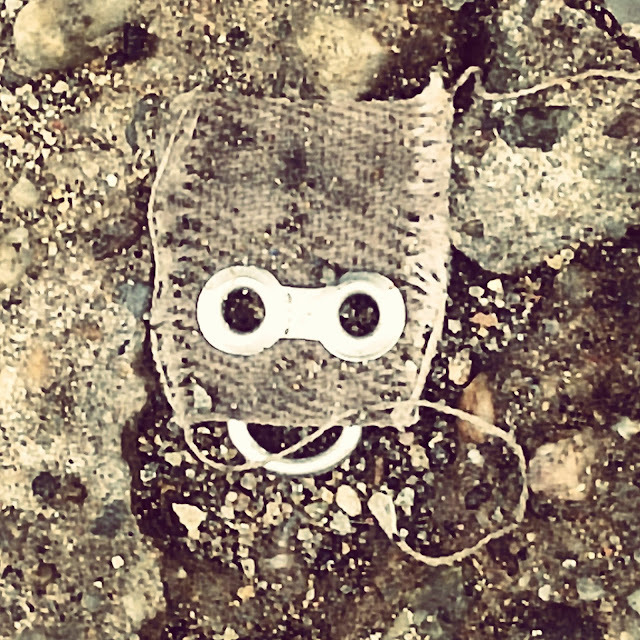 It may seem that pareidolia leads only to silly and sometimes creepy outcomes. But psychologists exploit it through tests like the Rorschach inkblots, where the shapes seen in random ink spatters are thought to reveal insights into a subject’s subconscious. Artists also play with pareidolia, creating images that can be seen in various ways. Georgia O’Keefe’s flower paintings, for example, outrage some viewers – and delight others – who see in them suggestions of female genitalia. The human brain’s tendency toward pareidolia hasn’t changed in thousands of years. It’s even migrated to the digital world in the form of facial recognition and mapping software. And even computer brains can be fooled by what they see, finding human faces on everything from keys to garage doors and rock formations, just as the ancients did. Ultimately, this once again shows why you need to question absolutely everything. Thanks a lot for wonderful explanation. I like it. I would like to say thanks for this wonderful information.Well written & I appreciate your work.I am glad to be here. Create Ingredients as the name reveals has really redeveloped me Become a man. From peopling to Stop tobacco and getting individuals into this present reality of Esmoking, Create has created huge showing as to! In requital of proven reality that Esmoking is spinning up being faster and there are particular locations where we can get our Hookahs yet what Create gives changes from the others. Way complex. It's the best top the very best. furthermore, verification for money. Improve is Details and is presenting individuals the most sensible way that is start. I mean who will do that? It's generally that Create truly views about what its doing, about generating regard. I'd say, continually rely upon Create and they'd let you know the way in which. 43 comments so far. What do you think?